Lewis Grabban firing for Nottingham Forest, Middlesbrough struggling at home and Nicky Maynard proving his worth for Bury. The goals are well and truly flowing now for Lewis Grabban. After a slow start to the season that saw him fail to score in any of their first six Sky Bet Championship matches, the forward now has eight in his last seven - and that includes a couple of penalty misses to boot. With the glut has come a massive turn in fortune as draws have turned to wins for Nottingham Forest. One win in their first seven games has turned into four from their last seven, seeing the club climb just outside the play-offs heading into their trip to Leeds on Saturday, which is live on Sky Sports Football. Even after missing a penalty against Bolton on Wednesday night, Grabban went on to score twice more in a 3-0 win, and Aitor Karanka praised him for his character. "He was brave enough to take the ball," said the Forest boss. "Even at 0-0 or 1-1 he would have taken the ball. He is a strong character and he trusts himself and for us it is important to have a player like him. "I have thought about it (changing the penalty taker) but he scored so I have to keep trusting him. The main thing is he is scoring goals. It is important to have one player like him happy and scoring goals. His desire and spirit rubs off on the team." When Middlesbrough drew 0-0 at home to Swansea last month no one was too surprised, when they lost 2-0 at home to Nottingham Forest before the international break some would have been a little concerned. Now, having failed to see off Rotherham, who picked up their first away point this season in the process, it is starting to look a little bit of a crisis for Tony Pulis' side. Boro's target is automatic promotion and no side finishing in the top two of the Sky Bet Championship in the last three seasons has gone as long as their run of 270 minutes without a goal at home. Last season, Wolves' longest was 133 minutes without a goal at Molineux, while Cardiff's was 223. In 2016/17 Newcastle's longest run without a goal at home was 153 minutes and Brighton's was 202, while the season before Burnley went 220 and Middlesbrough themselves went 218. Derby have beaten Sheffield United and West Brom away in the last week, and they are next up at the Riverside on Saturday lunchtime, live on Sky Sports Football. 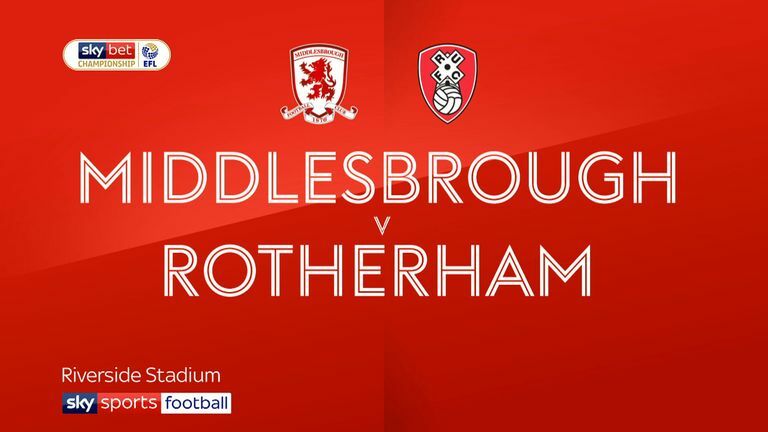 It's up to Boro to show they can prove their promotion credentials and perform at home. Was it time for Hurst to go? There was a genuine willingness at the start of the season to give Paul Hurst time at Ipswich, but even the most patient of fans and owners will struggle when the club has won just one game in 14 and sits bottom of the league. Should he have been given more time, though? A win at Swansea just before the international break suggested things were turning around, but two demoralising defeats since against QPR and Leeds probably shows that wasn't the case. Andy Hinchcliffe joins David Prutton in this week's EFL Matters. "You look at the league table and you can understand why Ipswich are changing things," Andy Hinchcliffe said on EFL Matters on Thursday. "But Paul Hurst is a very good coach. He went into the club at a very difficult time after Mick McCarthy had left and there was a lot of unhappiness about the style of football they were playing, and he needed time in the job. But coaches, as we know, don't get that now, especially in the Championship. "I do think the next three games they have got might have influenced the decision. They've got Preston, Millwall and Reading, which are three must-win games, so I just wonder if the owners looked at that and decided it was time to make a change. He just needed more time in the job and he didn't have it." Bryan Klug will take temporary charge for the trip to Millwall on Saturday, where we'll learn a little more about whether it was the right time for Hurst to go. You're supposed to find it tough the season after winning promotion. Maybe that's just not the case anymore, at least in the lower reaches of the EFL, where all four clubs who came up from League Two last season appear to have far higher aspirations than mere survival. Accrington, playing their first-ever season at this level, are fourth in the table. 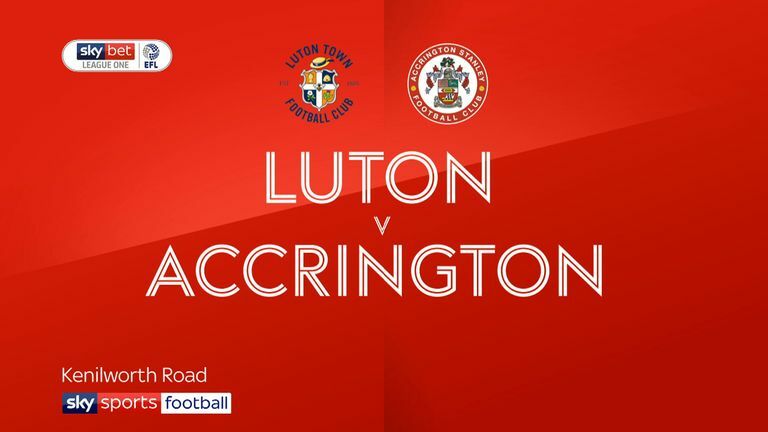 They lost to Luton in midweek, who finished as runners-up to Stanley last campaign, as the Hatters moved into sixth. Coventry, even with all the problems behind the scenes at the club, are eighth in the table and even Wycombe have overcome a difficult start to win three of their last four and move up to 14th in the table. Portsmouth and Doncaster, who came up from League Two in 2016/17, currently occupy first and seventh spot respectively, meaning four of the top seven are sides that were promoted in the last 18 months. Momentum can be a powerful thing in football. Has any free agent this season made as much of an impact as Nicky Maynard? The striker was looking for a club until nearly the first two months of the season, before joining Bury at the end of September. Since his arrival at the Shakers, the 31-year-old former Bristol City, West Ham and Cardiff striker has netted five times in five starts, scoring at a quicker rate than anyone else this season in Sky Bet League Two (with at least three goals). A strange quirk has actually seen Bury's form dip, with just one win and four draws coming in that time, whereas they had previously won four of their last five. Although you would expect that to be rectified in time. 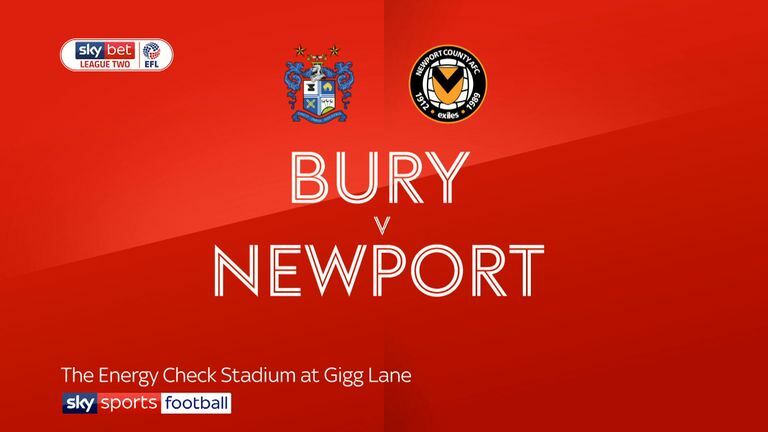 You imagine there will be a few sides around Bury, and a couple in the division above, who will be ruing their decision not to take a chance on Maynard, particularly at Oxford United, where he was training in September. The club currently find themselves 21st in League One. Maynard is only on a contract at Gigg Lane until January, so if his form continues, starting with the trip to Port Vale on Saturday, then a few other clubs may start taking a bit of a harder look.